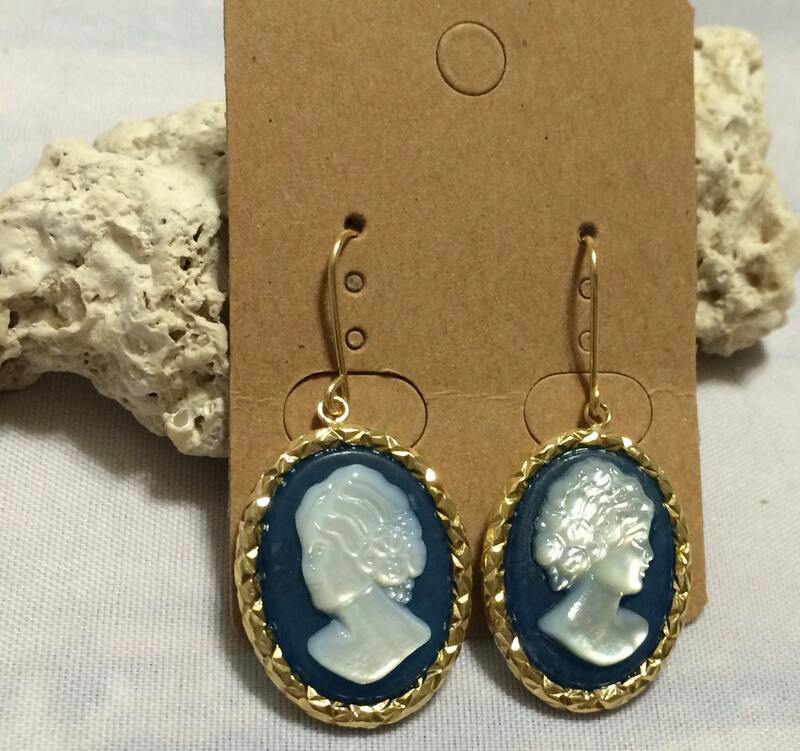 18K Yellow Gold 2.5 20 x 15mm Carved Quartzite Portrait Cameo Earrings. 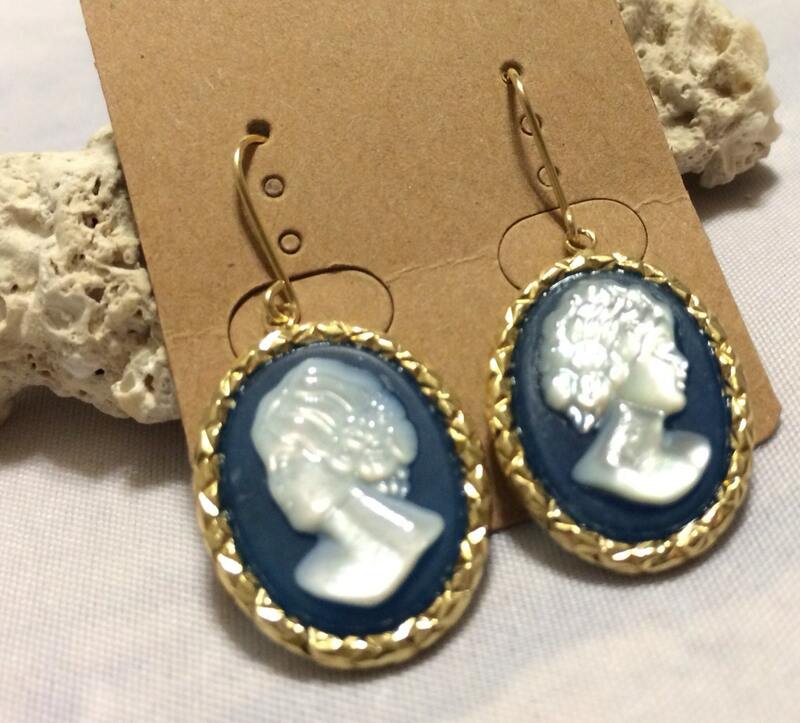 18K Yellow Gold 2.5" 20 x 15mm Carved Quartzite Portrait Cameo Earrings. 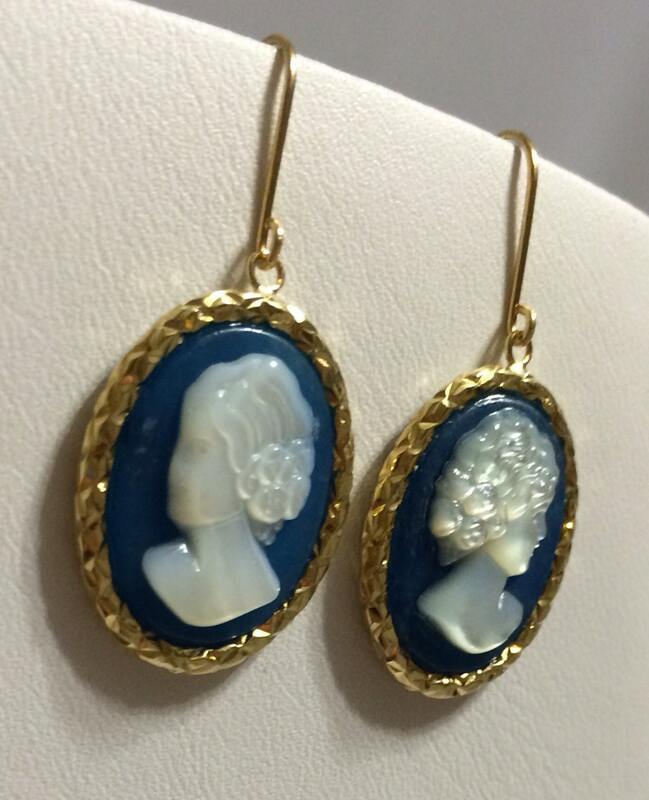 Capture the elegance and romance of a bygone era with this cameo pair! 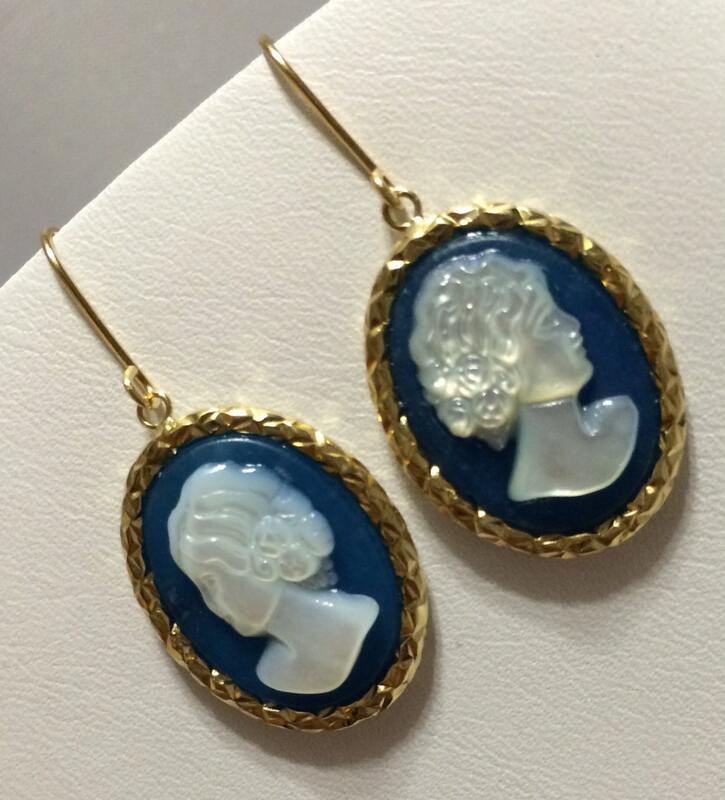 Crafted in 18K yellow gold, these earrings feature an oval quartzite with a carved mother of pearl portrait. 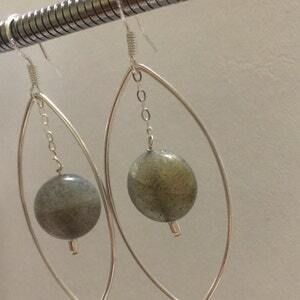 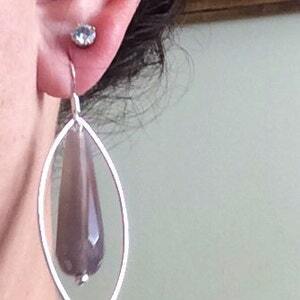 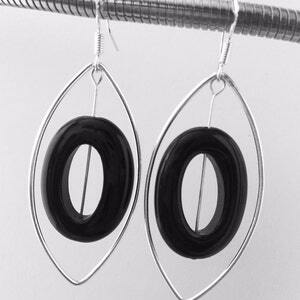 A beautiful dangle makes them the perfect accessory for your next dressy occasion. 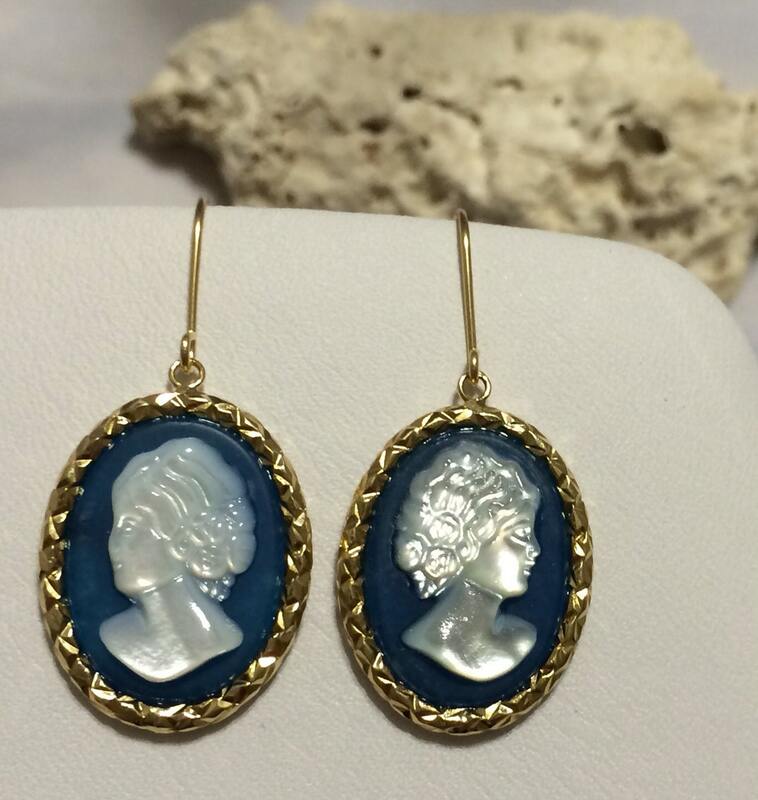 Please note this was made with a tubing technique used to create hollow pieces of gold jewelry. 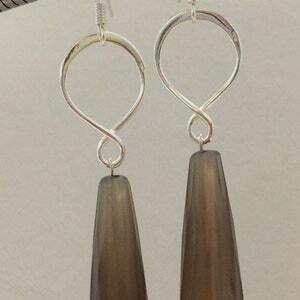 Tubing is a process that makes the pieces lightweight and seamless for a beautiful effect.